See how this cabin in North Carolina uses two structures instead of one for a unique look. This two-structure log compound in North Carolina garnered a Jerry Rouleau Award for Home Marketing and Design in 2017. 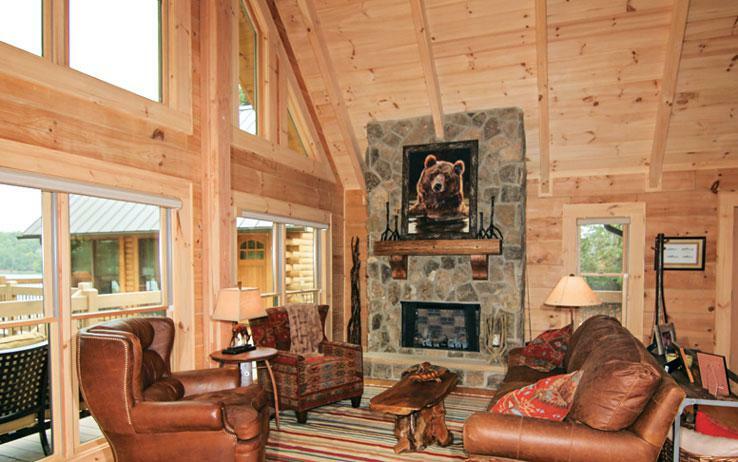 This Best Log Home entry was designed for entertaining. It includes one building that houses the main kitchen, dining area, living space and three bedrooms. In the other building, there’s a large recreation room, a kitchenette and a half bath – all under a vaulted ceiling. The cabin’s narrow, wooded lot held an unusable older home that was razed, so Johnny Leonard and N-Style Construction could erect the twin Southland Log Homes cabins. The plan for the main home features an open floor plan organized around a replace. A loft bedroom area overlooks the main floor. Outdoor living areas abound and offer views of the lake. Next door, the smaller building is connected by a deck walkway and has easy access to the lake and dock. With three sets of patio doors opening to a wide deck, this cabin is the perfect place to host a party. Together, the two buildings offer just over 2,200 square feet of living space. 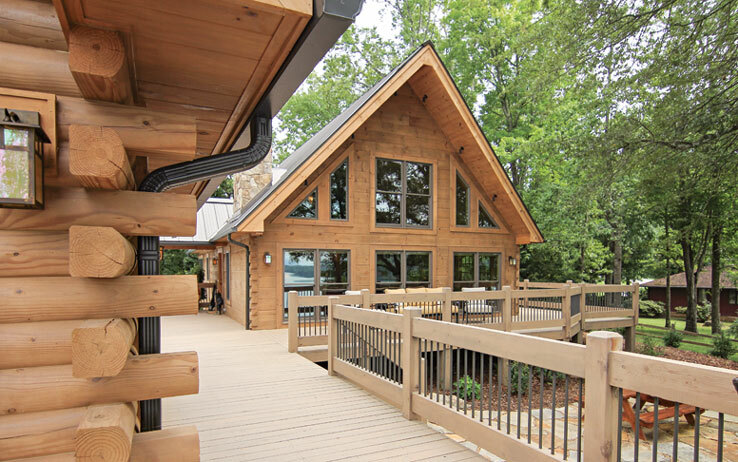 Southland Log Homes (southlandloghomes.com) is located in Columbia, S.C., and provides log home materials packages featuring kiln-dried, precision-milled logs. The company ships log packages nationally and internationally and offers a network of model homes throughout the East, South- east and Midwest.